#15. 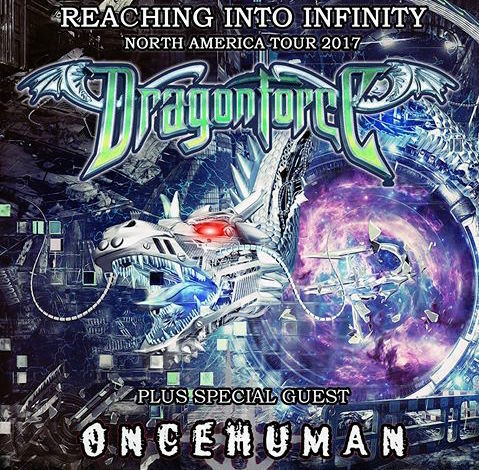 DragonForce @ The Roxy, Los Angeles CA, 7/8: This show makes my top twenty for a variety of reasons, but mainly it stems from the fact that I was able to get into this show via Metal Assault credentials after it had already sold out. Their performance definitely benefitted from following Once Human, a generic sounding death-tech band, where the frontwoman had awful stage banter, and at times, cringe worthy. All of those feelings washed away when DragonForce took the stage, fired off tunes from their new album ‘Reaching Into Infinity’ and various selections from their catalog featuring vocalist Marc Hudson. After an epic drum solo, the bassist Frederick Leqlerc, performed a video game medley featuring Sonic the Hedgehog and Street Fighter, and not to mention, the infamous Super Mario Bros theme. #14. 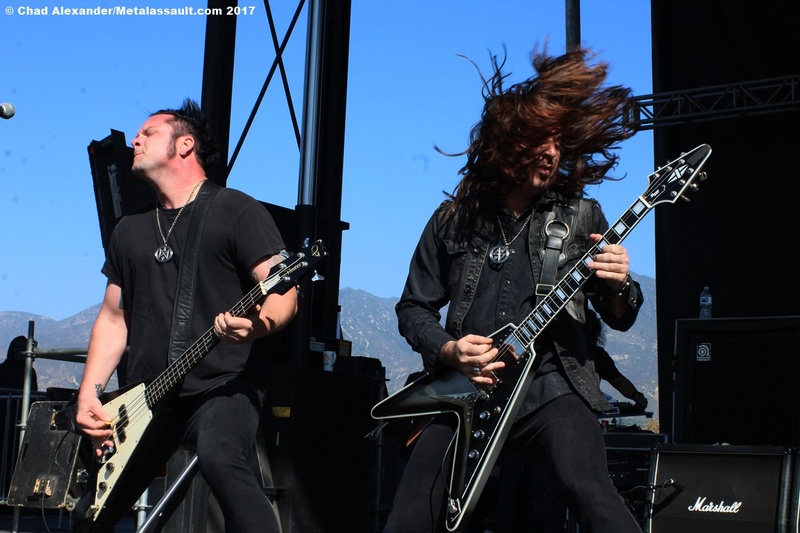 Night Demon @ San Manuel Amphitheater (Ozzfest), San Bernardino CA, 11/4: This band has performed several times over the last couple years in Southern California, and it always occurred that I was missing them for various obligations not permitting. 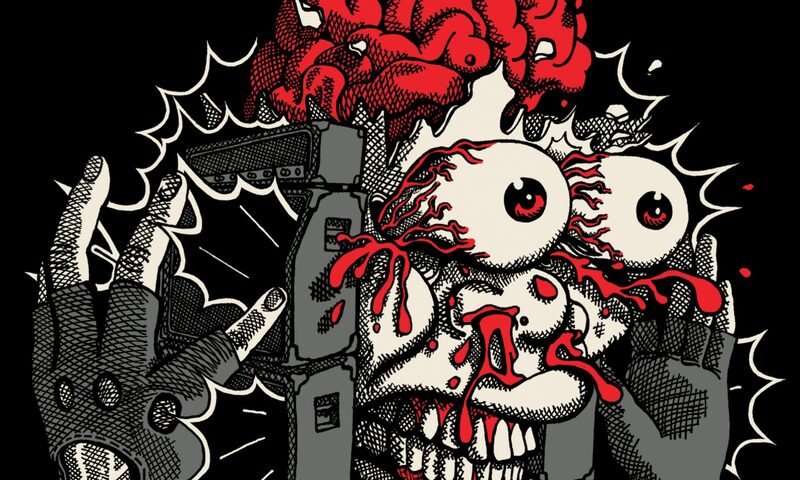 After seeing the band ascend as one of the titans of the New Wave of British Heavy Metal revival, I ensured that I woke up early enough for the drive from San Diego to catch their set as they opened Ozzfest on the second stage. This is not the only performance from Ozzfest to make my final cut, but the perfect weather, amazing live mix, and their high-energy rock and roll attitude had me feeling that waking up at 6 AM to catch them in time was totally worth it. The one thing that prevents this performance from being higher on this list, is that they used a song with a rather long intro (over two minutes I believe) and members of the band left the stage and came right back to finish their set. They easily lost a large portion of the audience in doing so. All in all, my first time seeing them was an incredibly enjoyable experience. They also performed some of my favorite tunes, like ‘The Chalice’ and ‘Hallowed Ground’; always a plus. #13. Iron Maiden @ San Manual Amphitheater, San Bernardino CA, 7/1: I have seen Iron Maiden countless times, and this was my third go around on their tour promoting their impressive ‘Book of Souls’ album, thus making it the third time catching almost the same exact set list. This definitely hurt the ranking, but I strongly believe that the top twelve were better shows for me, personally. I know, I know, it is Maiden bro, how can you rank them so low? I have no justifiable, compelling reasons, other than the fact that it felt right at lucky number 13. The mix was so so in comparison to other Maiden shows I have attended, but Dickinson and company always perform their absolute best. I was also immensely bummed that they took out my favorite song ‘Hallowed Be Thy Name’ for legal reasons but their show was definitely a spectacle to see. 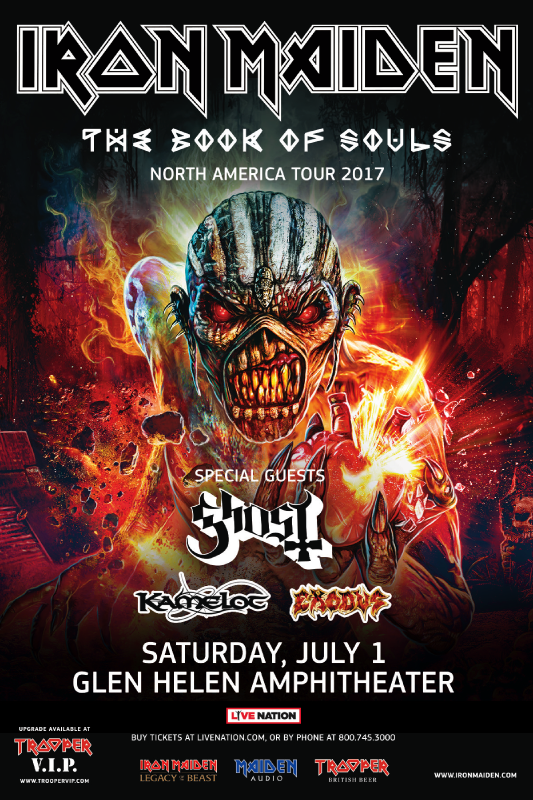 If you have not had the opportunity to catch a Maiden show, please do! No words can take the place of one of their live performances. #12. Sabaton @ Ludwigsburg Palace, Germany: I saw Sabaton twice this year, once at the incredible Grove of Anaheim, and once in Germany. Holy guacamole is Sabaton revered in Germany. 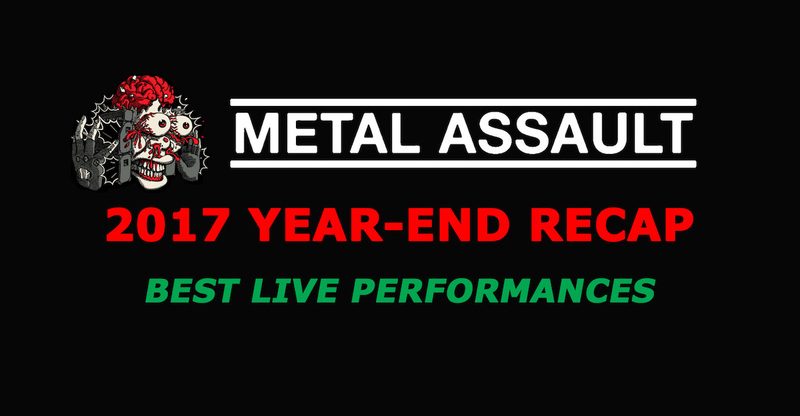 Thousand upon thousandss of metalheads came out in droves as the organizers of the show closed down the palace area and reformed it into a live-festival type setting. Vendors, street foods, and beer after beer vendors were among the many pop up shops set up. It definitely felt like a mock-festival setting and this allowed for such a strong ranking in the final analysis. Sabaton, granted with a larger stage, were allowed to bring their entire production with them. Lights, pyro, and a moving panzer tank were among some of the spectacles. The band performed admirably and without missing a beat, as light rainfall adorned the crowd, making the evening even more memorable. The band, performing the majority of their album, ‘The Last Stand’, had the crowd engrossed, cheering “noch eins beer!” in between songs, which means “one more beer” in Germany. Their stage banter, and front man Joakim kept everyone entertained to the very end. #11. 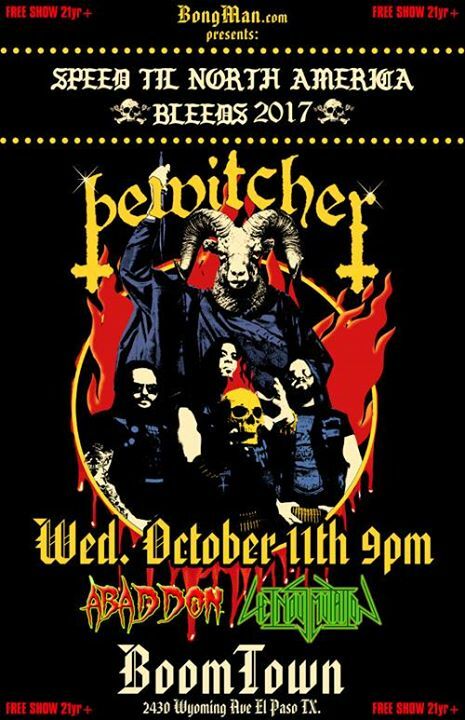 Bewitcher @ Boomtown, El Paso TX, 10/11: I think what makes this show so high up on my list, featuring a virtually unknown underground speed metal band, is the back-story of how I ended up in El Paso to see them. Long story short, while I was on tour with my band, our van, a Dodge Sprinter, broke down in the middle of nowhere Texas and we had to leave it for over a week to be repaired in a small town, San Angelo, approximately eighteen hours away from San Diego, where I live. El Paso was the last night of our tour, and our band used rental vehicles to make it there and back home, and I had to drive the rental all the way back to San Angelo in order to pick up the van to drive it all the way back home. On the way to San Angelo, I stopped in El Paso, after I had confirmed with the promoter who booked us for our tour that he was putting on a show that same evening, and he urged me to come out to check out the touring act, Bewitcher. So I pull up into Boomtown, roughly eleven hours into my journey, to catch the show. HOLY HOT SATAN did this band blow me away. They were so friendly and welcoming before the show, and afterwards, signing my newly purchased cassette tape too. Their take on the speed metal genre was so refreshing, and I enjoyed their short set front to back. Highlights were ‘Speed Till You Bleed’ and ‘Bewitcher’. These guys rule and their music rules even more; what a sweet surprise amidst my journey back to San Angelo.